Looking for a great personalized gift? Our quality personalized / engraved cutting board makes a great handmade item for Wedding gifts, Wedding Shower gifts, Bridal Shower Gifts, Wedding Presents, Anniversary, Christmas, Birthdays, Housewarming, Hostess or just about any other gift giving occasion. 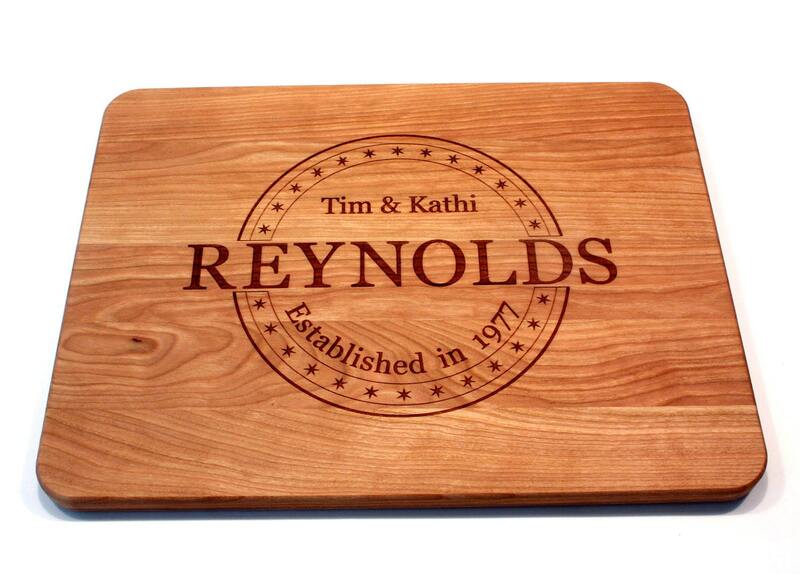 This personalized gift engraved cutting board is highlighted by a circular field of stars with your families last name engraved in the center as well as the couples first names and year of marriage. If the last name is 6 letters of less, see our other listing with the last name contained within the circle.